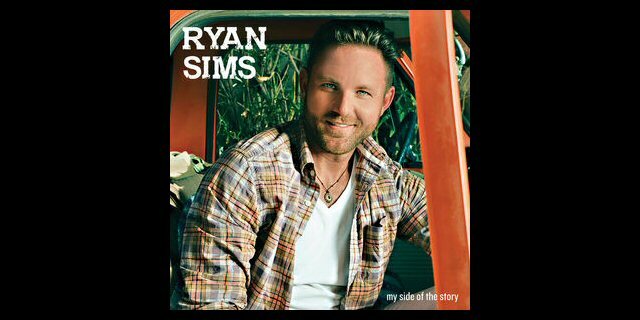 Ryan Sims is a heartland rocker positioned between the two music business meccas of Los Angeles and Nashville. That’s because the energetic and charismatic musician plies his trade in Phoenix completely “outside of the industry” as he told us following his second showcase in Music City during CMA week at S.I.R. Studios on November 13, 2017. We didn’t know much about Sims going in but we learned that he is an Indiana native who moved to Arizona as a teenager. The singer, songwriter and country-rock-americana musician and personable performer also had no shame when he revealed his hometown hero and rock icon John “Cougar” Mellencamp to be one of his personal idol’s. That made more sense once he started doing a run through of the songs on his latest My Side of the Story EP. Sims said early on that the seven tracks on the record were born out of a “train wreck” that he recently experienced. Meeting with him later he told us that he found out his girlfriend of four years was cheating on him. But, he thanked her as the inspiration for the batch of great songs that he was now debuting in Nashville. The CD opener “Get Away” got things off to a rockin’ and up-tempo good start at the well-attended rehearsal space just on the outskirts of the city’s downtown. Ryan Sims played two big showcases during Nashville’s CMA Week. Sims reminded us most of Mellencamp on the appreciative and patriotic “American Things” that named checked Dairy Queen and fried chicken as some of his favorite things. Hey, Ryan. Ours, too! Other favorite things from the Monday night set included the celtic-ish “Red Head” which he said was about a brunette and the hard-driving “Little Ms. Bad Decision” that had the band turn it up to eleven in the soundproof room. 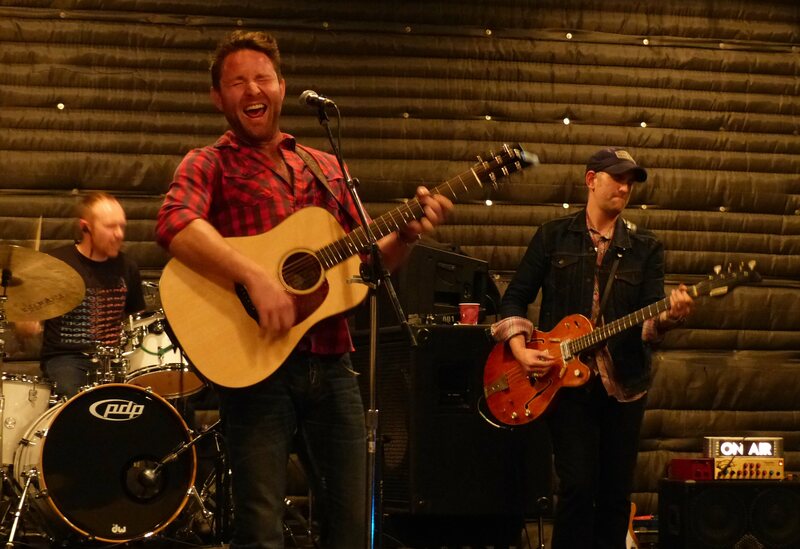 Speaking of the band Sims was joined onstage in Nashville with Jason “Slim” Gambel (Lady Antebellum, guitars) who played on the EP which is due out Friday, November 17 on High 4 Recordings. According to Sims – for him and the rest of the five piece – this was their first time playing together and they had only done a run through for two hours prior to the show. However, this being Nashville there was no real rust and they were off to a good start for the support dates that are sure to follow the album’s imminent release. S.I.R. began as an instrumental rental company in Los Angeles, California. Soon their reach and services expanded. Now in their 50th year they provide local music communities with high-end professional rehearsal, production and event space in over a dozen markets in the United States. Autographed and personalized posters to S.I.R. from some of the biggest recording acts including KISS and Dolly Parton let you know that much amazing history has taken place within the walls of the their Music City outpost.